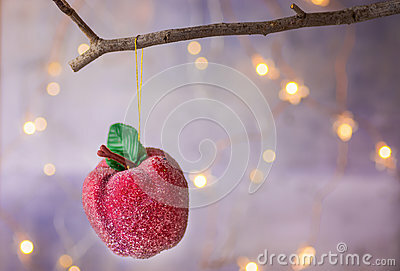 Christmas ornament red sugar coated candy apple hanging on dry tree branch. Shining garland golden lights. Beautiful pastel grey blue purple background. Magical atmosphere.